Joe Wells, of whom it has been said. : Nobby Brasso football star. 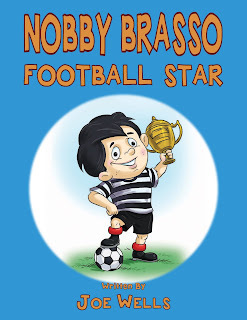 At long last I seem to have my children's book Nobby Brasso football star available on Amazon, I shall hopefully put the link here for you all to rush to Amazon and purchase a copy. Now I'm going to have a lay down in a dark room.